Microsoft online courses for Excel are available from universities, colleges and online educational sites. What sets Internet studies apart is the ease with which you can study. As long as you have the software, you can complete the course without leaving home. Colleges with Excel courses offer comprehensive study guides. Preliminary subjects explain how to use the user interface, entering and managing data. These are necessary for students who are new to the software. Succeeding courses deal with formatting techniques, formula basics, useful functions and creating reports. There are also subjects on sharing & distributing your work, tips & tricks and using Excel with other Office applications. These courses offer in-depth information on all these subjects. Modules on formulas teach you how to use the AutoSum function, function Library and defining named ranges. You also learn how to create an Absolute reference, using formulas with dates & text and order of operations. Students discover how to create WordArt, adding shapes & pictures and borders & cell styles. Formatting courses will teach you how to format numbers, dates and cells. Excel has many functions, only a few of which are used frequently. Some modules explain how to use functions like INT, rounding VLOOKUP and COUNT. Other functions that you will learn online are UPPER, LOWER, PROPER & TRIM, LEFT, RIGHT & MID, AND & the OR and SUBTotal functions. Other areas of study teach you how to compare data dynamically with charts and turn formulas into hard data. You discover how to create cell border effects & sorting on color. There are also subjects centered on formatting portions of text & multiple sheets, rearranging columns & linking to multiple cells. You can also find out how to fill holes in your data, deleting & inserting blank cells among many others. You must have the appropriate version of Excel installed on your computer. If the site uses video, a fast Internet connection is needed. That is usually all you need to use Excel courses in education sites. Most of these sites require tuition. Free courses are available, but you will not get certification from them. They may not be as comprehensive as a paid course. Microsoft online courses for Excel are available for different versions. 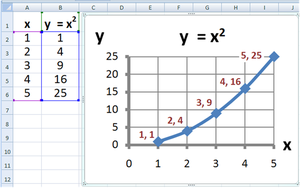 If you have Excel 2003, it will be difficult to use the version 2010 tutorials for it. There will be different features and instructions hard to follow.